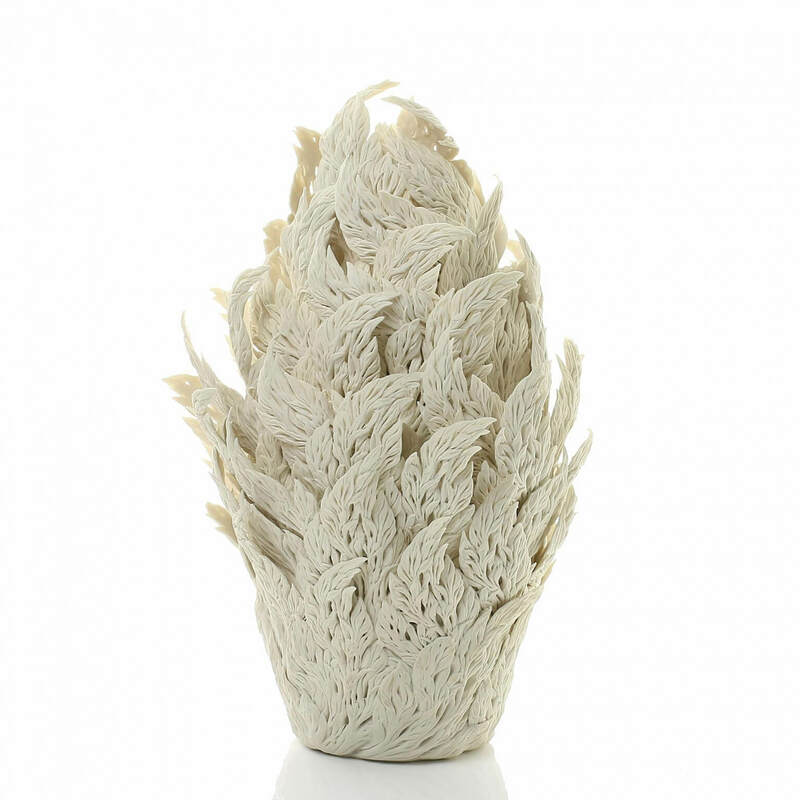 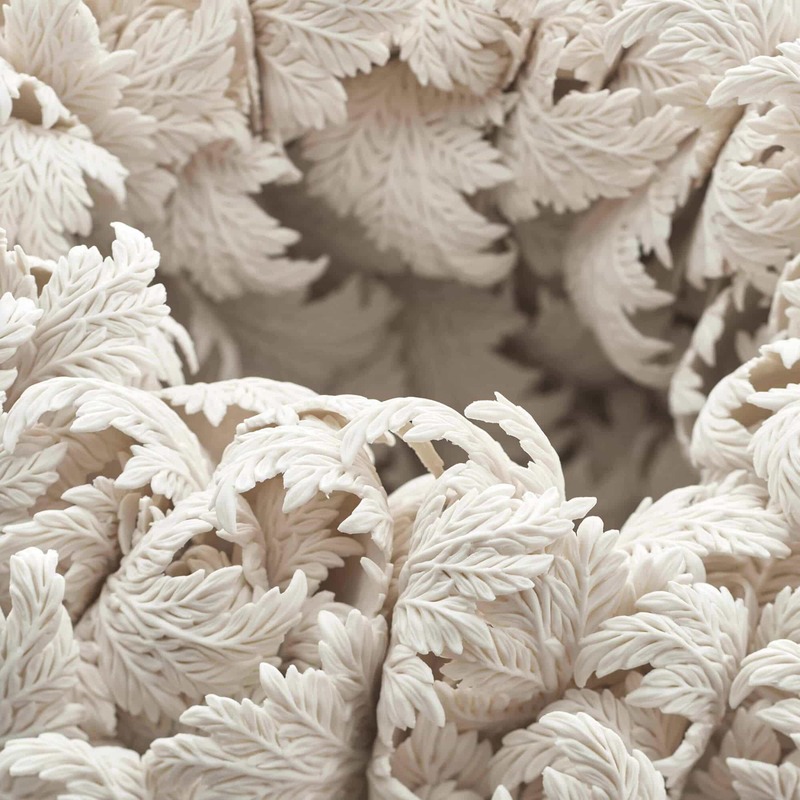 Ceramicist Hitomi Hosono creates ceramic vessels wrapped in hundreds of leaf springs and other botanical forms. 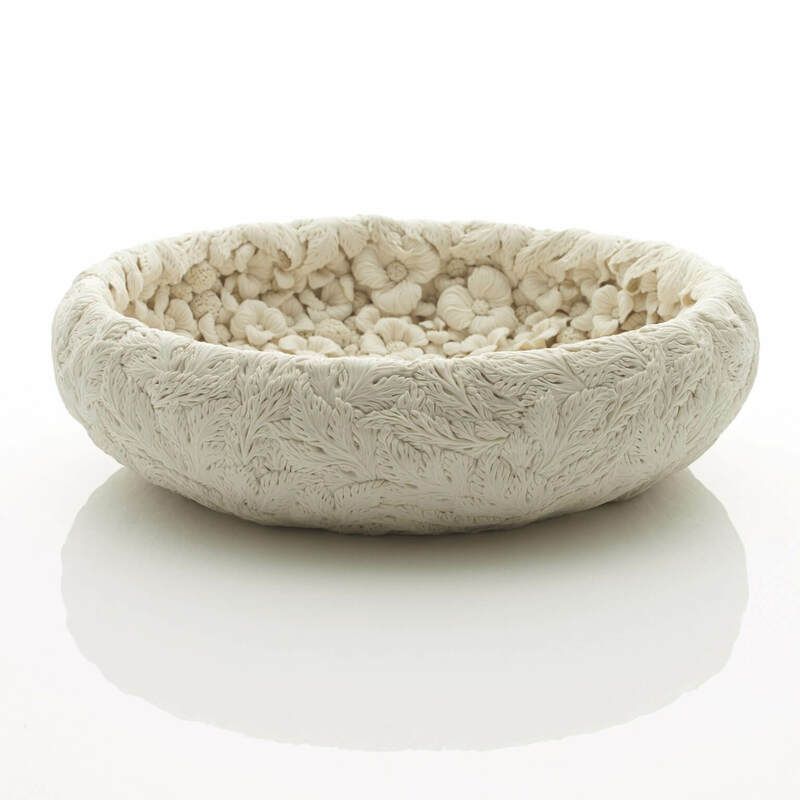 These monochromatic elements are based on plants Hosono experiences during walks throughout East London’s greenery. 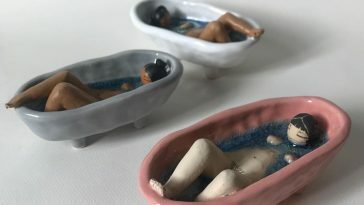 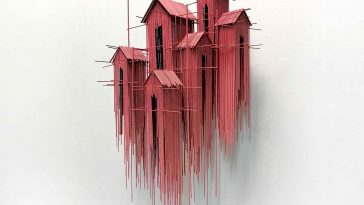 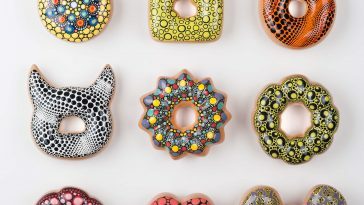 Her strategy is inspired by Jasperware, a form of stoneware coated in sparse ceramic reliefs invented by Josiah Wedgwood from the late 18th century. 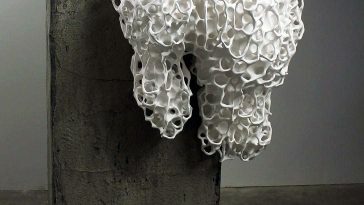 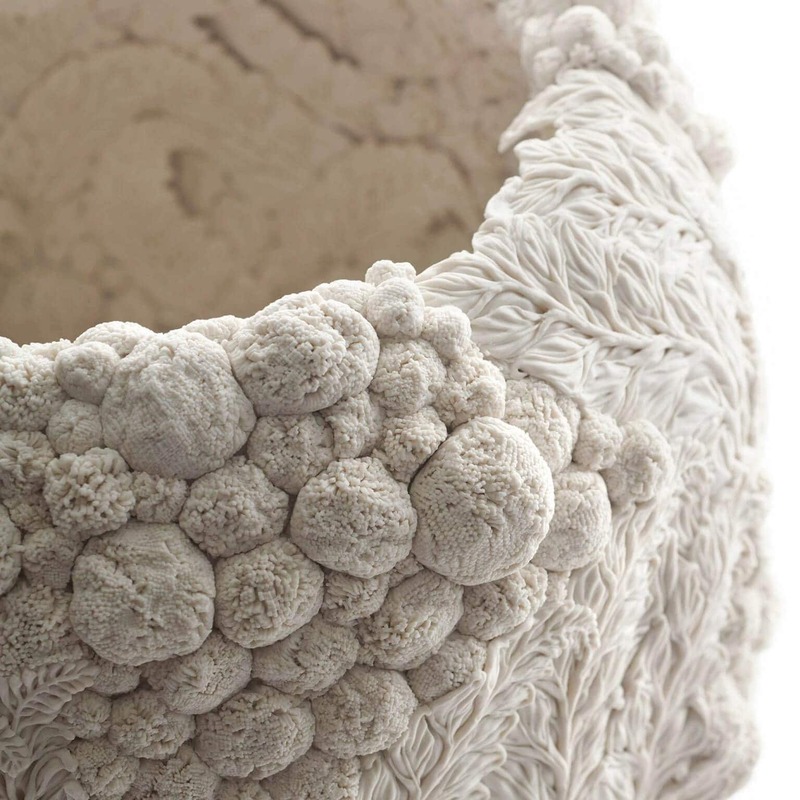 Like Wedgwood, she carefully applies her delicate forms to a porcelain base. 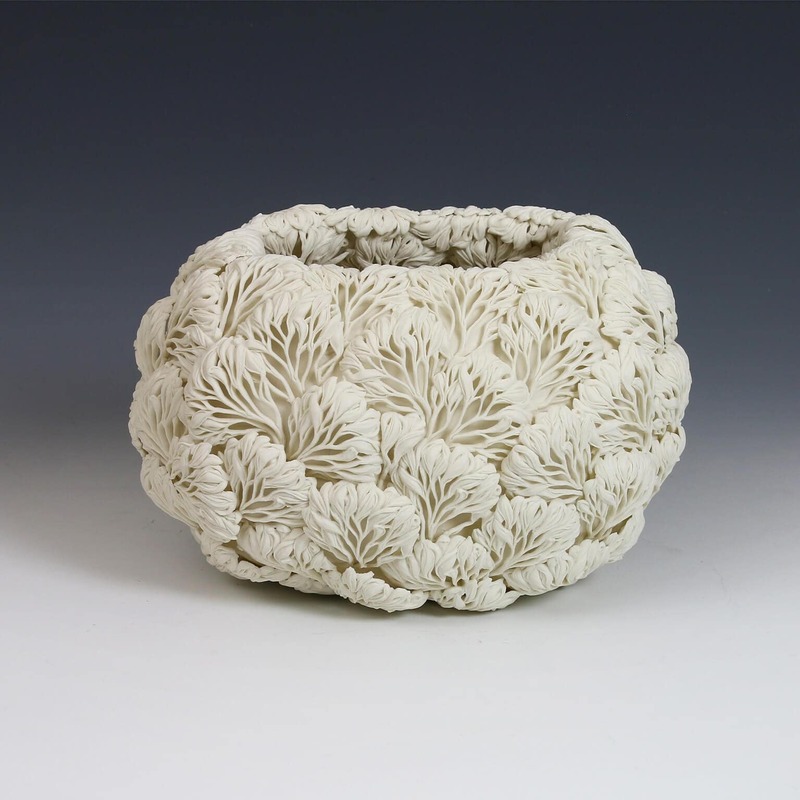 From beginning to finish a more significant work will take Hosono almost a year and a half to complete. 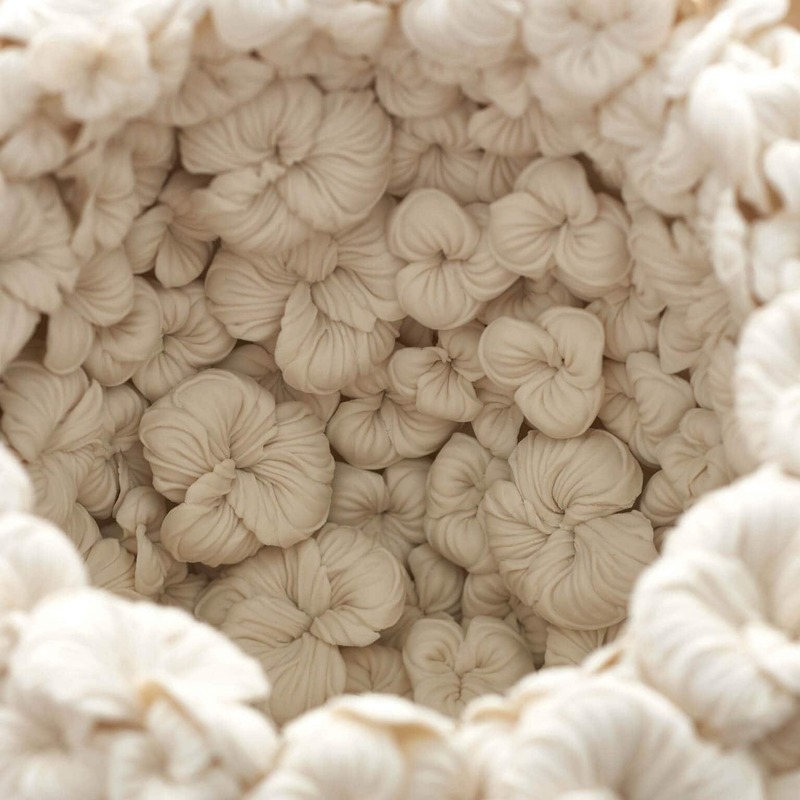 A lot of the time is invested drying, as her densely layered functions often need 10-12 weeks to completely dry. 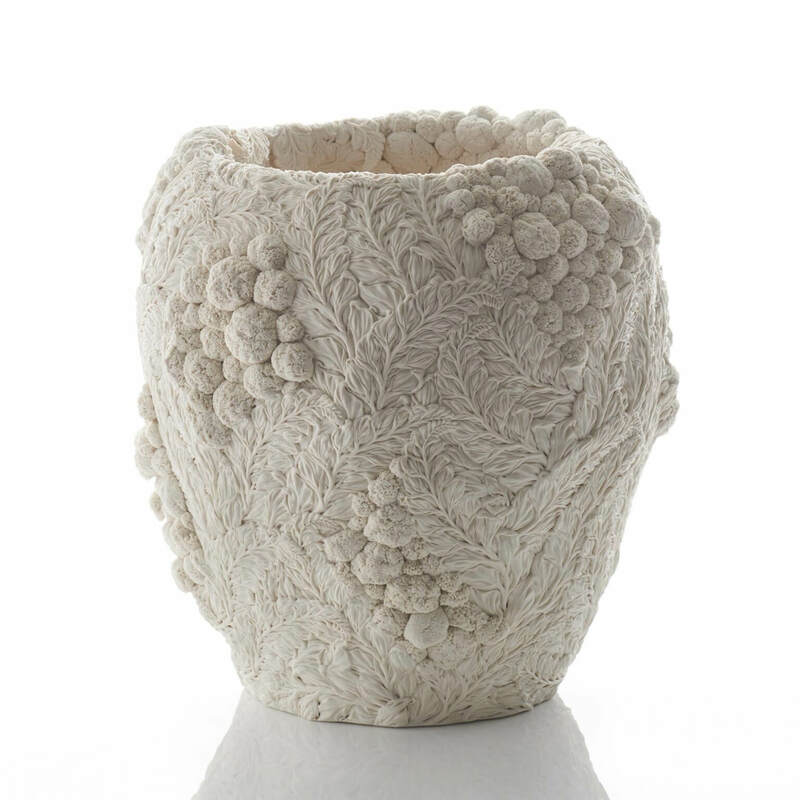 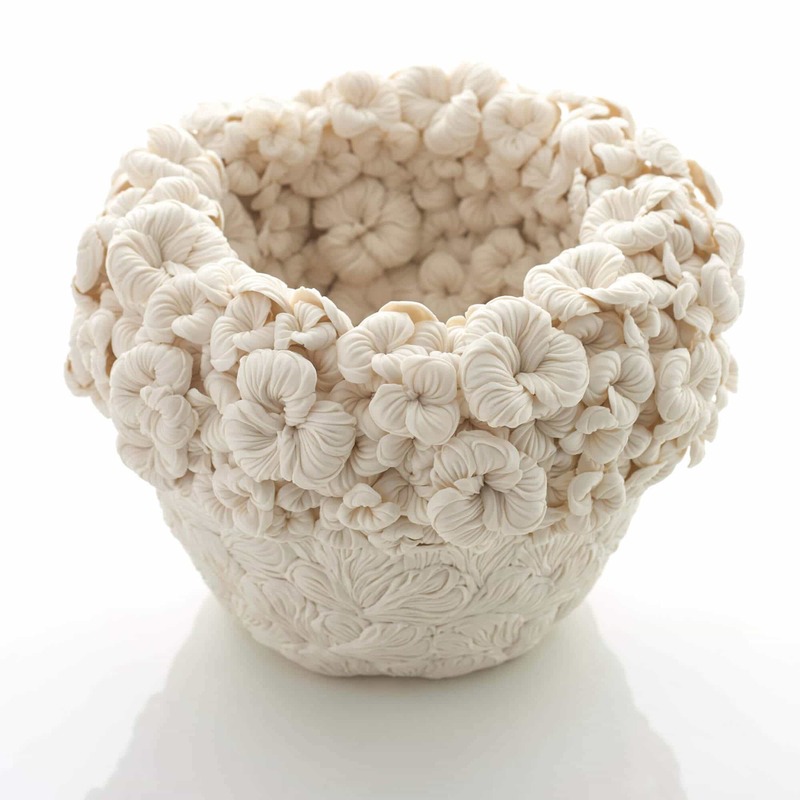 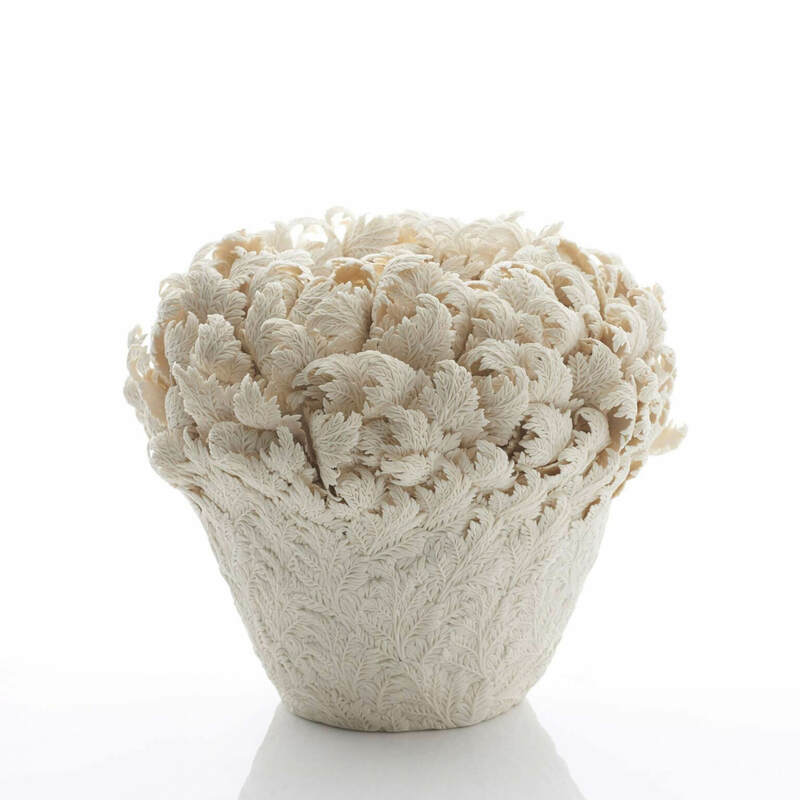 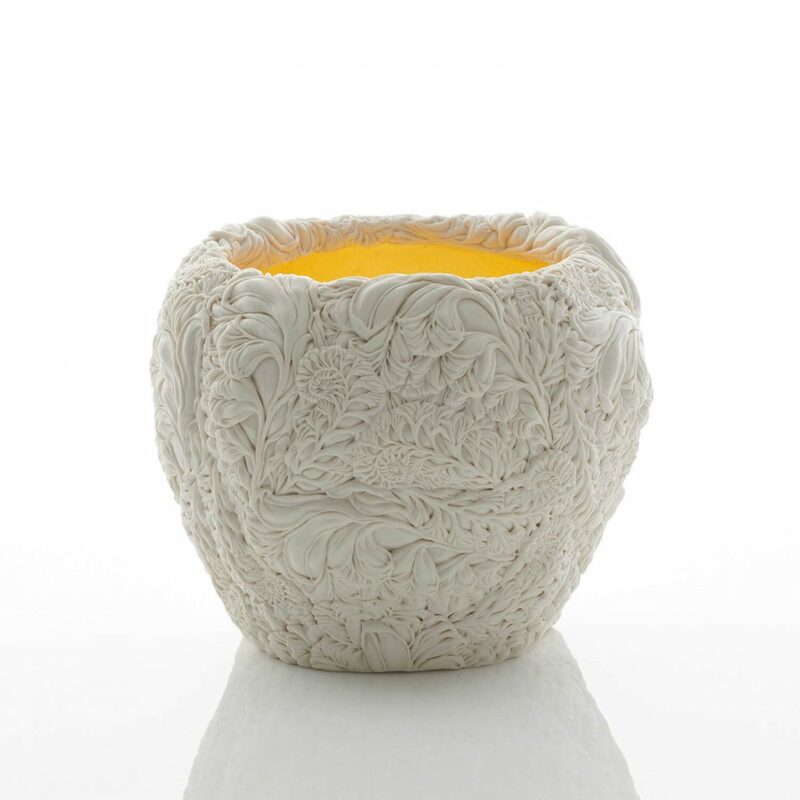 Hosono’s solo exhibition, Reimagining Nature: Hitomi Hosono’s Memories in Porcelain, is currently on view in the Daiwa Anglo-Japanese Foundation in London through December 15, 2017. 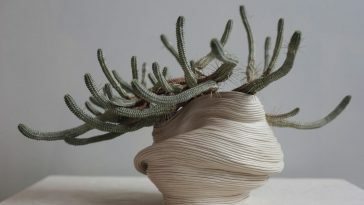 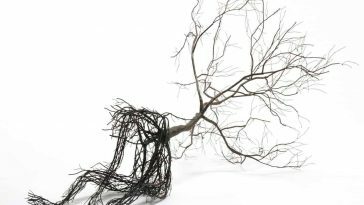 You can view more of her layered botanical sculptures on the artist’s website and via her gallery Adrian Sassoon.